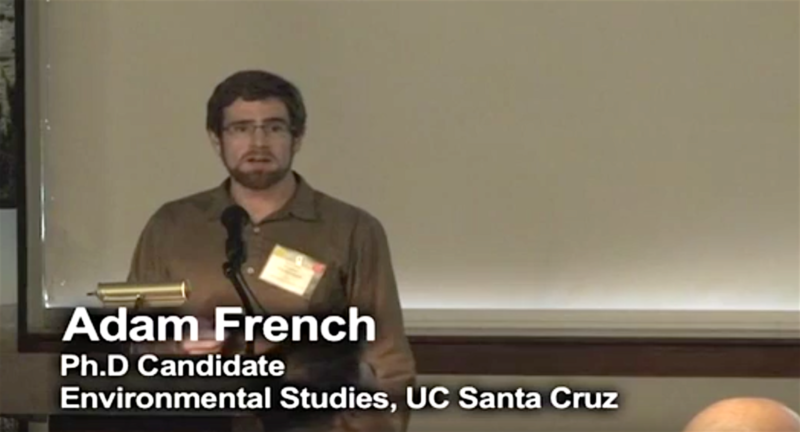 Adam French at Exit Strategies. 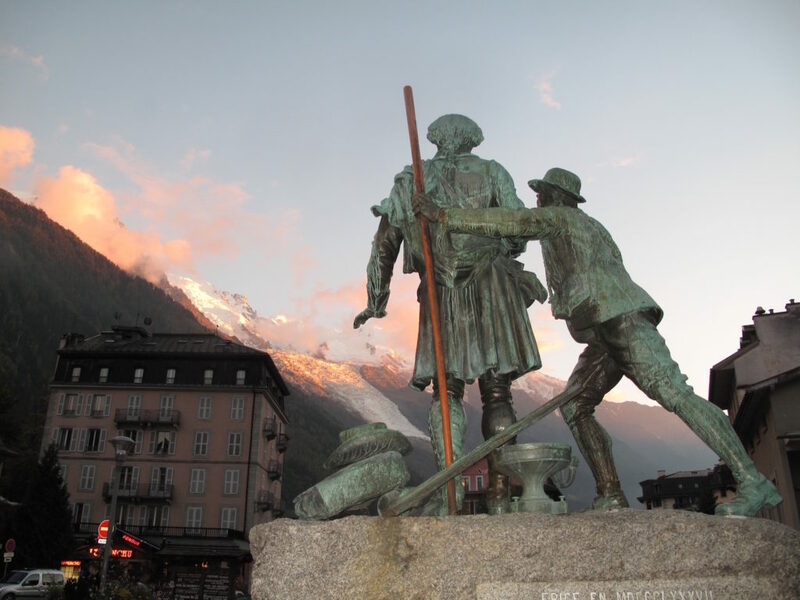 Tomio Suzuki - managing human waste in alpine zones of Japan. 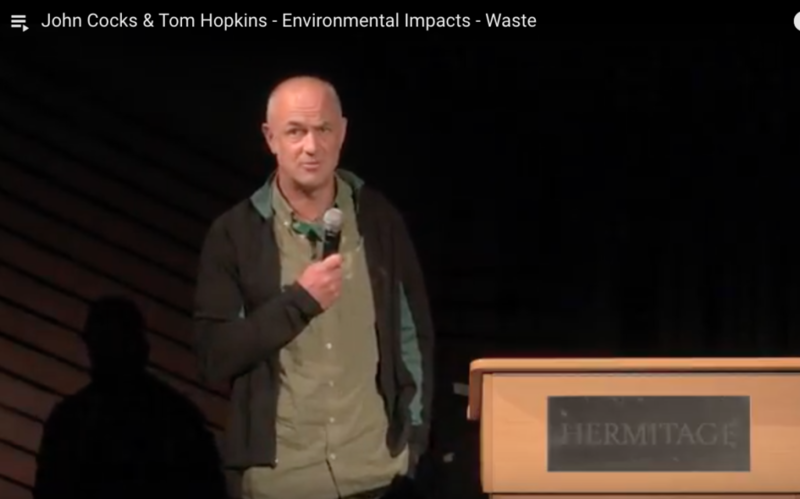 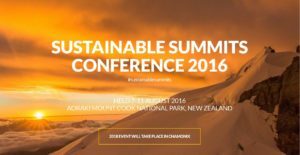 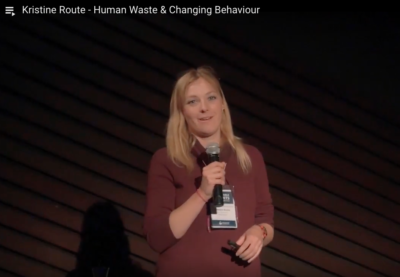 2016 Sustainable Summits Conference in New Zealand. 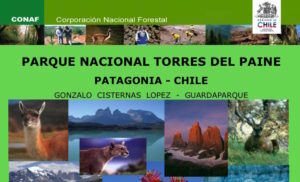 Gonzalo Cisternasc Torres del Paine National Park. 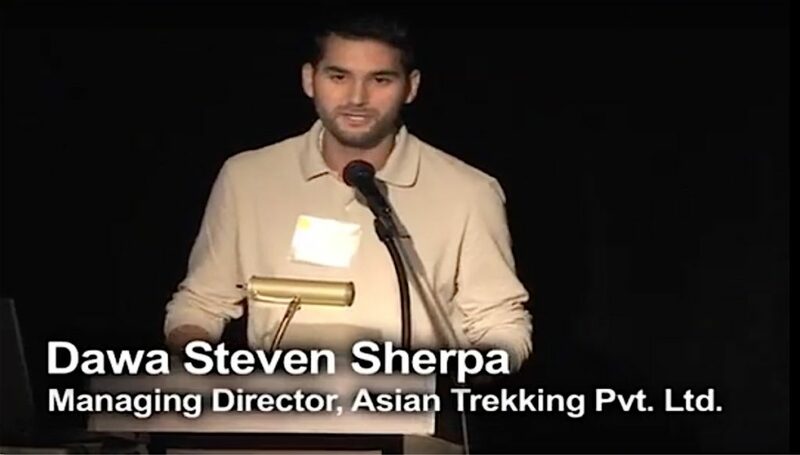 Dawa Steven Sherpa presenting to Exit Strategies in 2010. 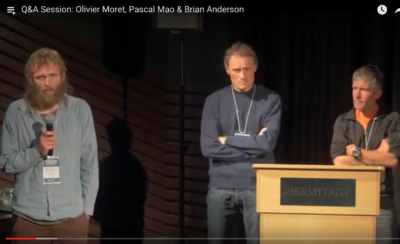 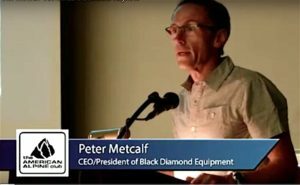 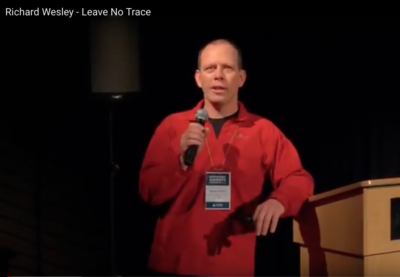 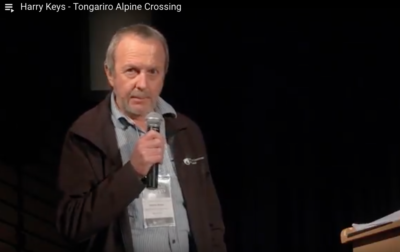 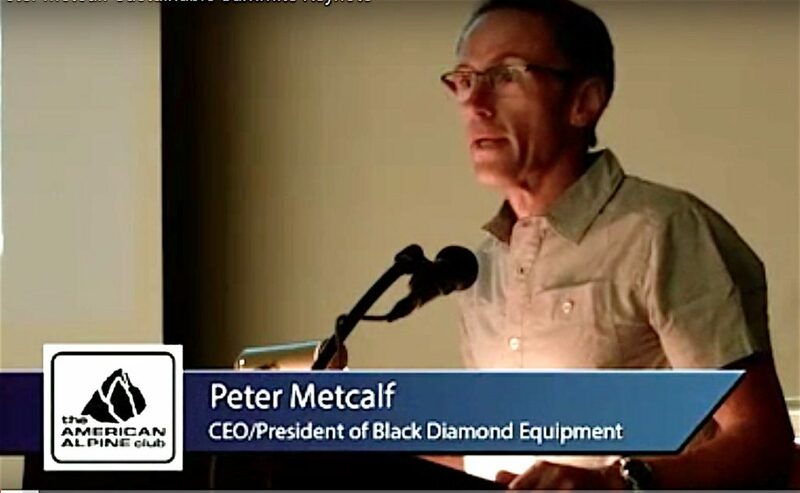 Peter Metcalf presenting to Sustainable Summits in 2014. 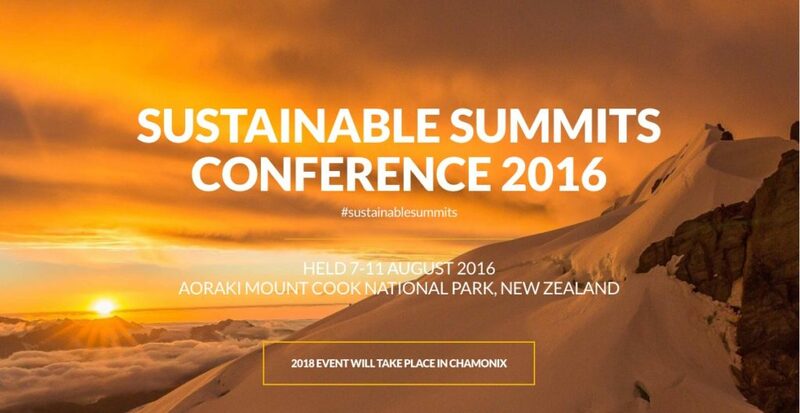 Paul Anderson speaking to Sustainable Summits 2014. 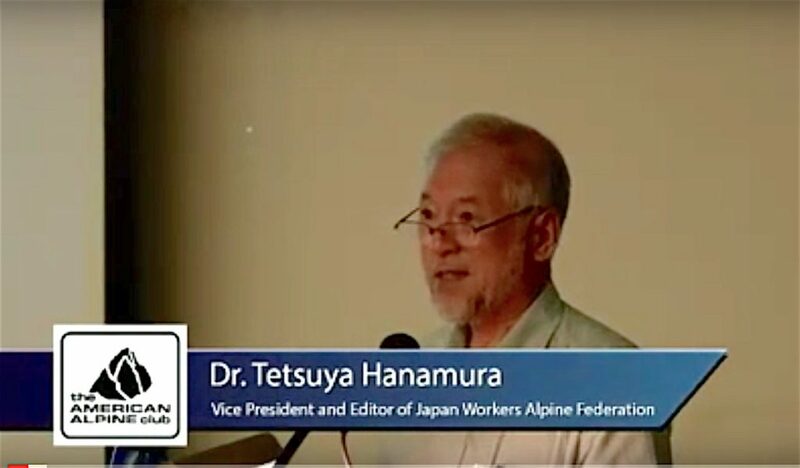 Tetsuya Hanamura presenting to Sustainable Summits 2014. 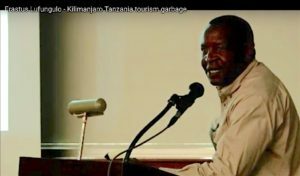 Erastus Lufungulo speaking to Sustainable Summits 2014. 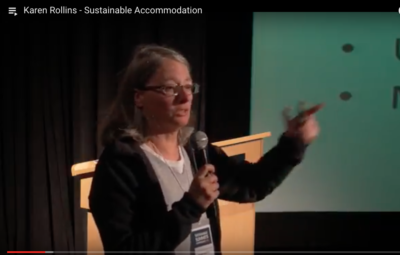 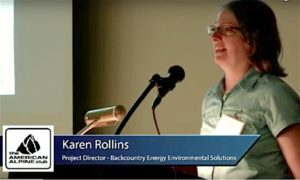 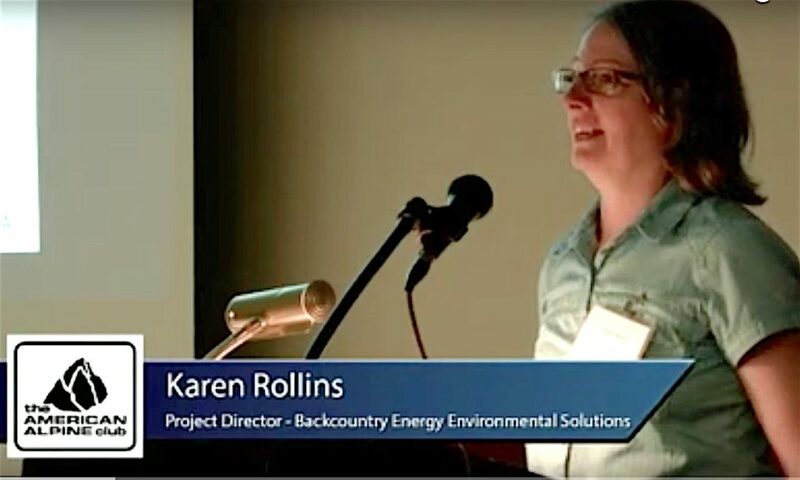 Karen Rollins presenting to Sustainable Summits 2014. 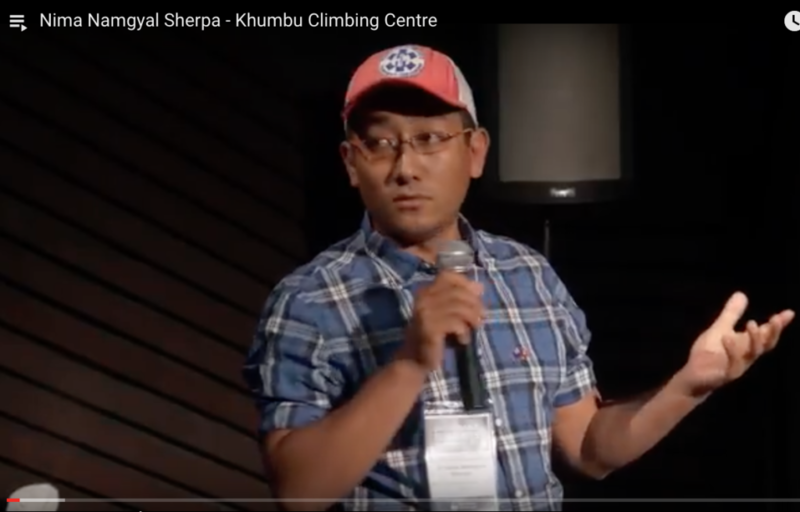 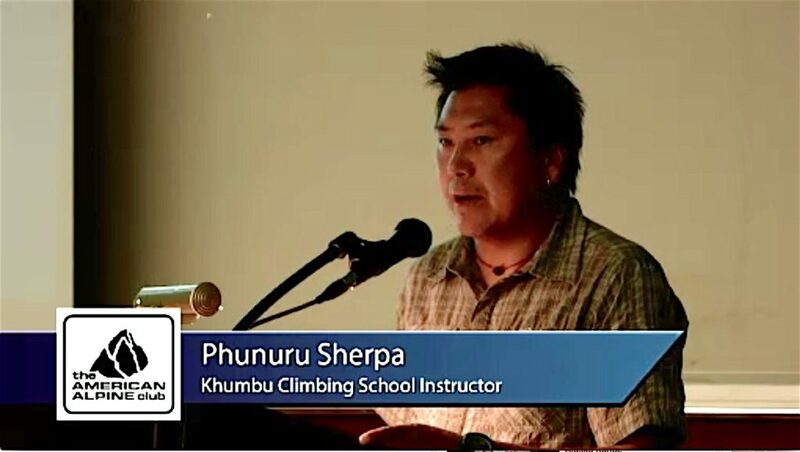 Phunuru Sherpa addressing Sustainable Summits 2014. 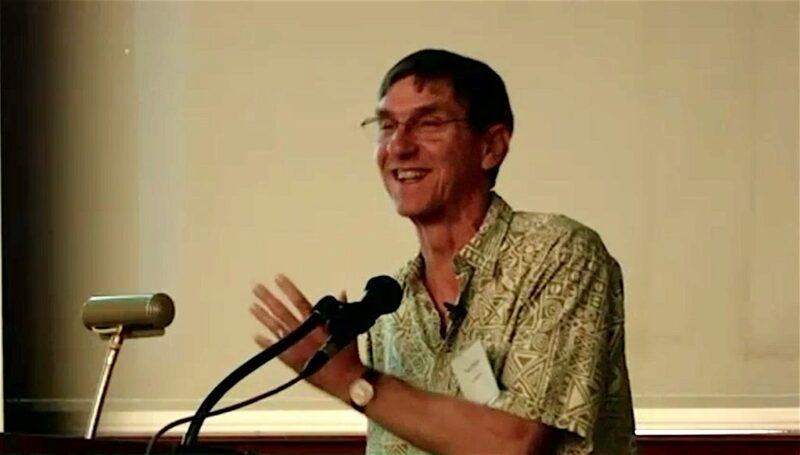 Roger Robinson presenting to Sustainable Summits 2014. 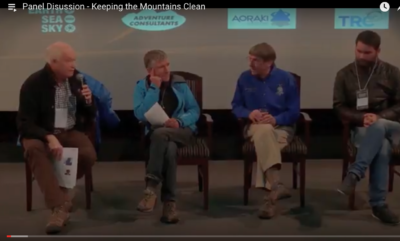 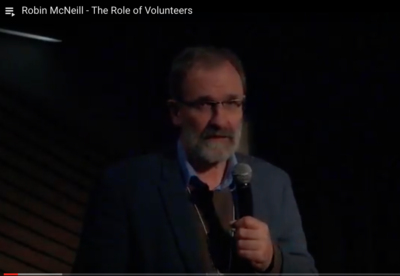 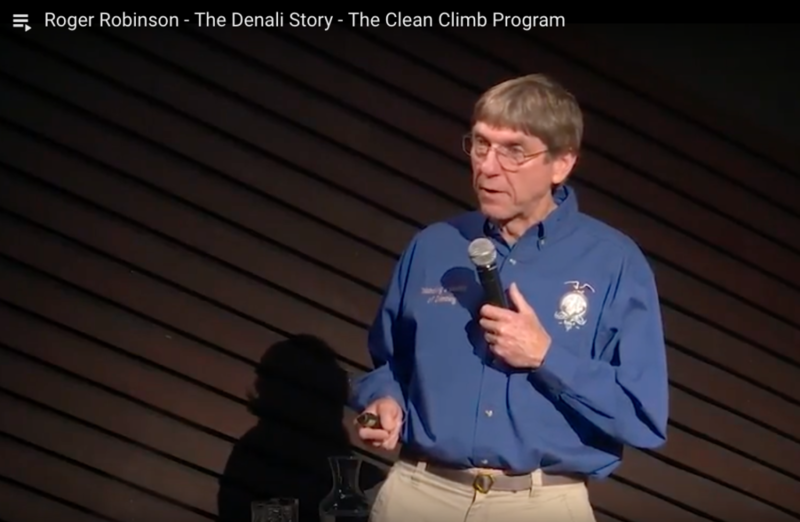 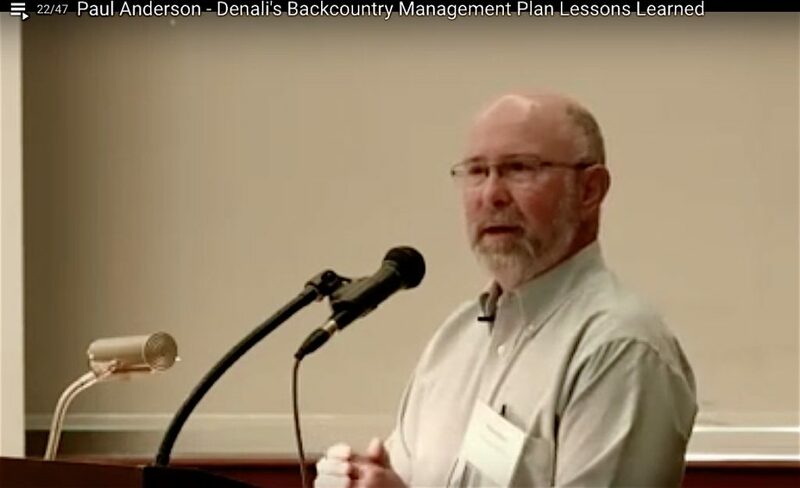 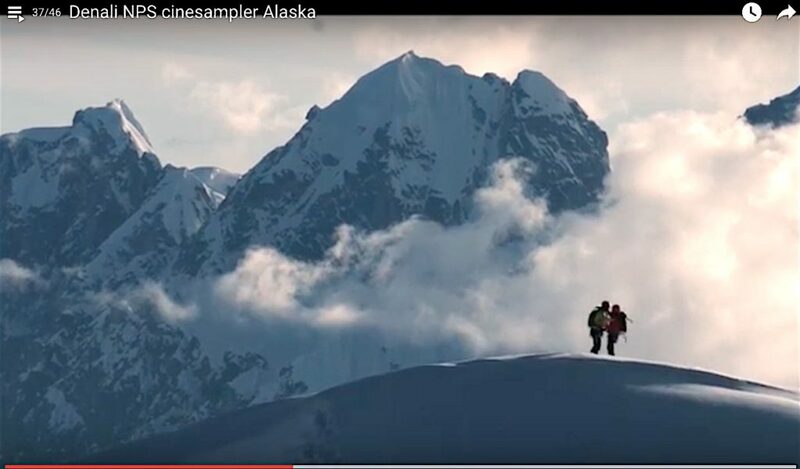 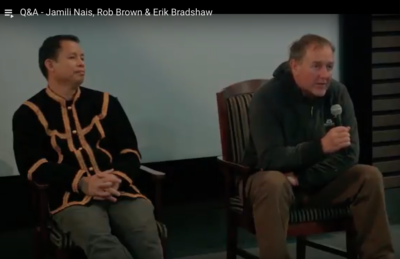 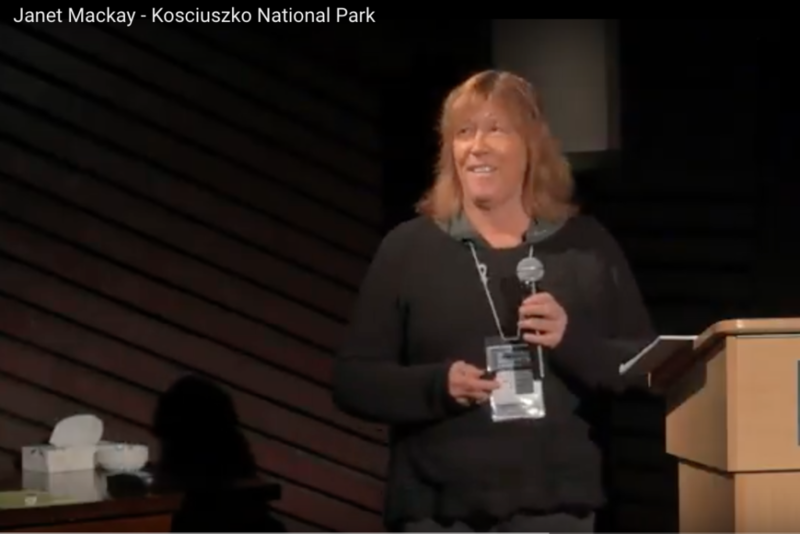 Denali National Park Cinesampler video as presented to Sustainable Summits 2014. 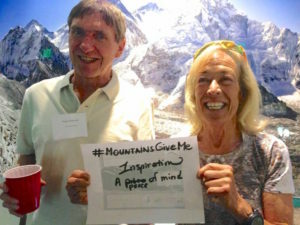 Sustainable Summits co-founders, Roger Robinson and Ellen Lapham. 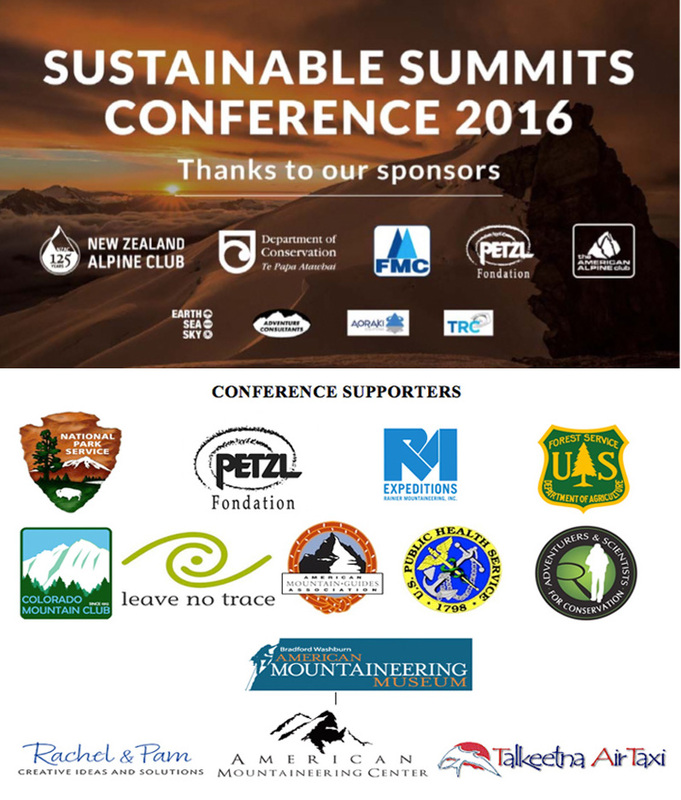 Thanks to the sponsors of Sustainable Summits 2014.